Bringing her to the ranch was a very bad idea. Now all he wants is to convince her to stay. 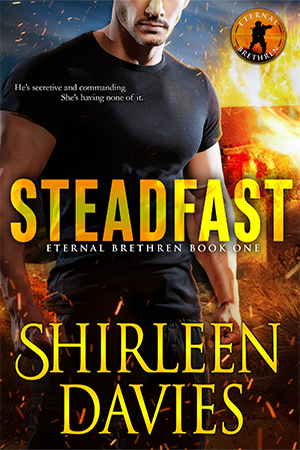 Blaine MacLaren yearns to be a man his familyconsiders a strong leader. After a lifetime living in his older brother’s shadow, his uncles finally give him the chance he craves—running their new properties near Settlers Valley. 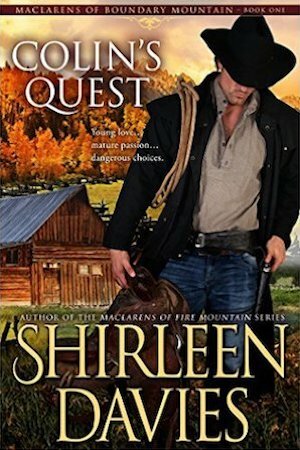 Embracing the challenge, he rides away from Circle M with only one regret—leaving the woman he desires more than he cares to admit. Lia Jacobs has been running for four years, staying a few towns ahead of the family who plans to drag her home. Landing in Conviction, she believes herself safe, until a wildly handsome man turns her dreams upside down. Beginning to trust him and forging a friendship, she starts to think a future, maybe even love, is possible. Then he rides away, leaving her alone with shattered dreams and a bruised heart. The days are long, the nights longer as Blaine works to keep the woman he’d left behind from his thoughts. Nothing helps, until a series of threatening events forces him to focus on the ranch and not the throbbing pain in his chest. Lia buries herself in her work, forgetting the danger of staying in one place too long. The arrival of those who search for her forces Lia to make a tough decision—one taking her away from a known danger and into the path of another. She may have outsmarted those who chase her. But is exchanging one type of threat for another, one endangering her heart, any better? 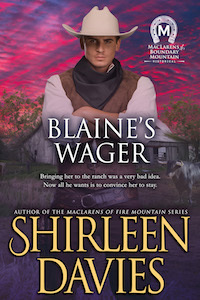 Blaine’s Wager, book seven in the MacLarens of Boundary Mountain Historical Western Romance Series, is a stand-alone, full-length novel with an HEA and no cliffhanger.